Happy Monday everyone!! Staying warm? Since a little thing called the Super Bowl is just around the corner, Tanya and I thought we would help you get ready with some spectacular game day eats! Forget the meal plan. I’m eating chicken wings all week. Now, who’s ready for some football!!! Oh. Well we have already established that I don’t know a thing about football. So who’s ready for football food?! Because at that I am a pro. Let’s eat. 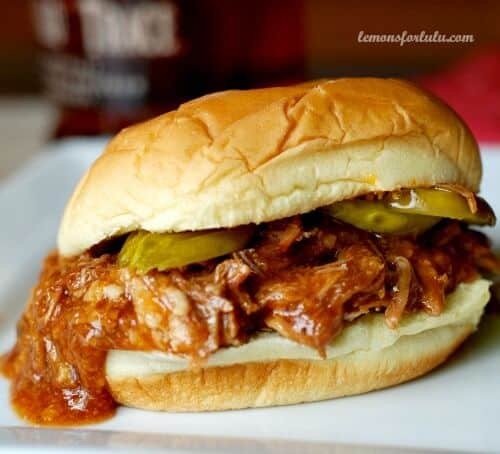 Buffalo Turkey Sliders– Sugar Dish Me- Not sure I really have to say anything, these speak for themselves! 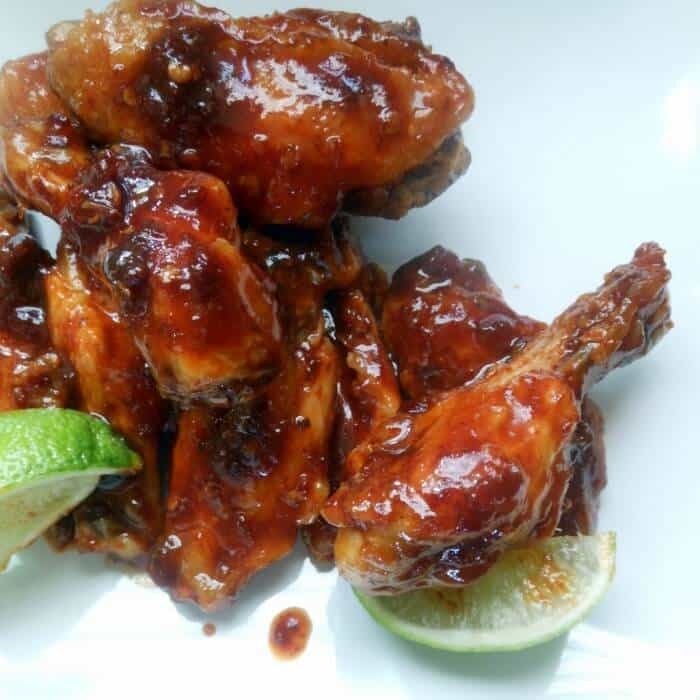 Honey Chipotle Lime Baked Wings – Sugar Dish Me-I could eat about two dozen of these! 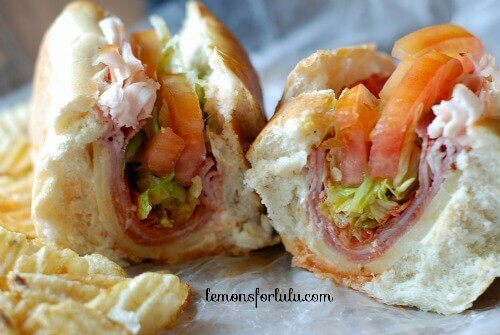 Spicy Italian Subs – Lemons for Lulu-These are no ordinary subs! Individual Pizzas – Call Me PMc-These have a biscuit crust! Total genius! 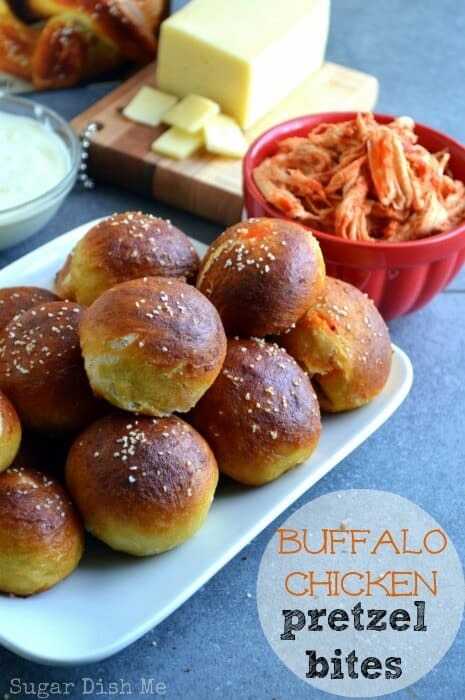 Buffalo Chicken Pretzel Bites – Sugar Dish Me -Pretzels AND Buffalo sauce! Yes please! 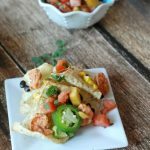 BBQ Chipotle Chicken Nachos – Lemons for Lulu-A meal all on their own! 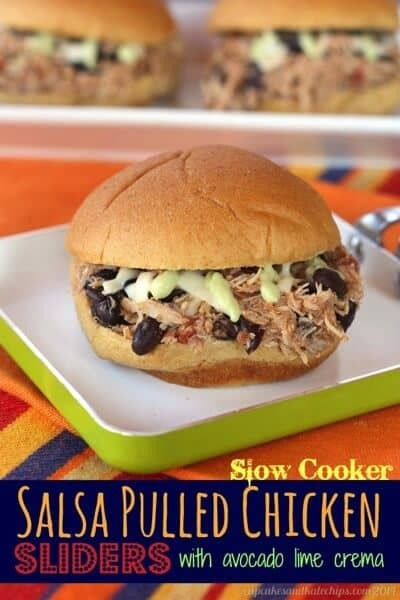 Salsa Pulled Chicken Sliders – Cupcakes and Kale Chips-Check out the avocado lime crema! Holy yumminess! 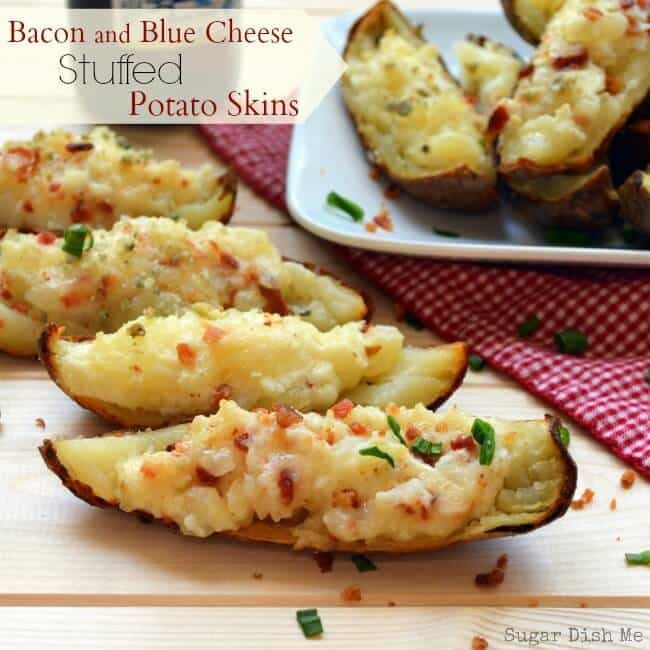 Bacon and Blue Cheese Stuffed Potato Skins – Sugar Dish Me – Some may call this party food, I call it lunch! 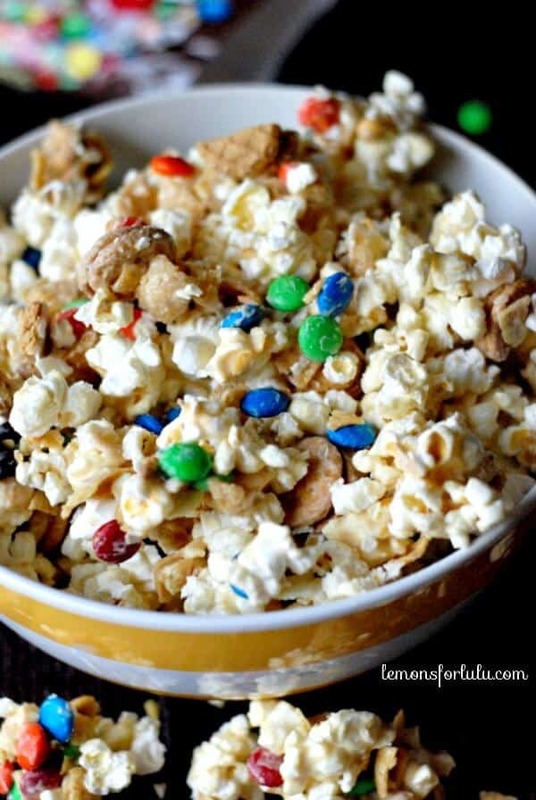 M & M Party Popcorn – Lemons for Lulu– Every party needs something sweet! 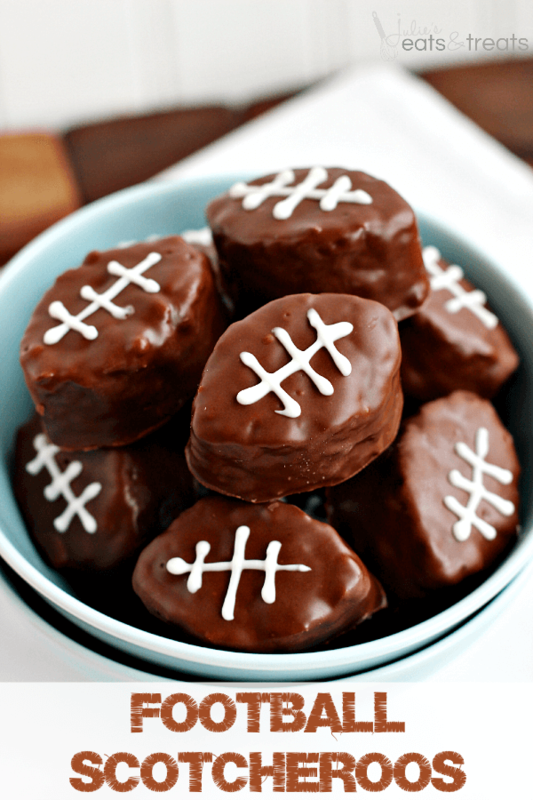 Football Scotcheroos – Julie’s Eats and Treats – The perfect game day ending! 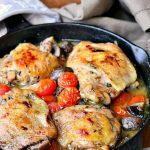 WANT MORE GAME DAY IDEAS? CHECK OUR PINTEREST BOARDS! 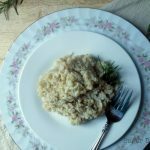 Follow Sugar Dish Me’s board Appetizers & Dips on Pinterest. 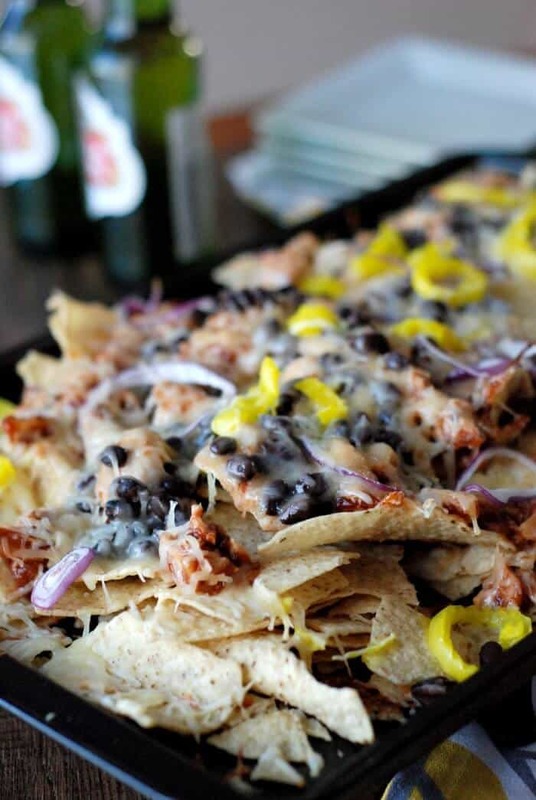 Follow Tanya Schroeder @lemonsforlulu.com’s board Super Bowl on Pinterest. PLEASE TAKE A MOMENT TO ANSWER THE FOLLOWING, WE WANT TO PLEASE YOU! 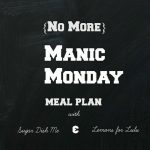 Love this meal plan-I love seeing the recipes you put together for the week! Y-U-M! I love the menues you have pit together. I can honestly say I have used at least one each week. I need to change up my menu to include more veg because the hubster could eat meat and only meet 7 days a week. So I look for something a little different each week! Love it and keep up the good work!!! 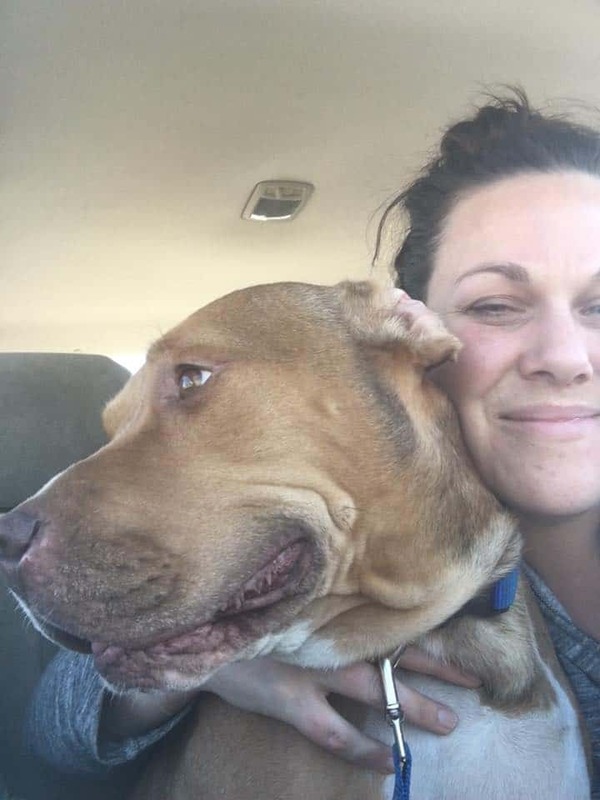 Thank you Heather! Yay! Thanks Angie! That is awesome! My other half would live on cheeseburgers if I didn’t say something about it so I totally get you there! Ummm yeah. I’ll take one of everything!! 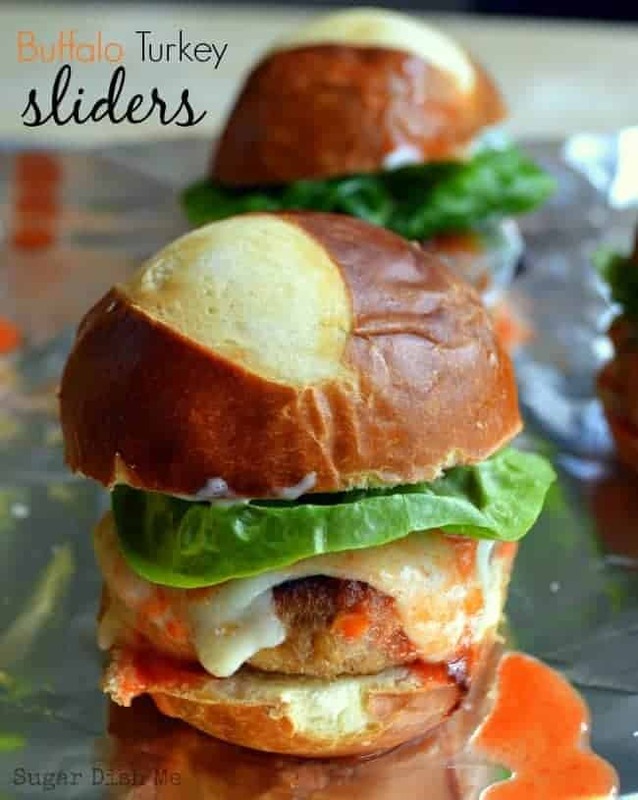 Those buffalo turkey sliders in particular are calling my name! 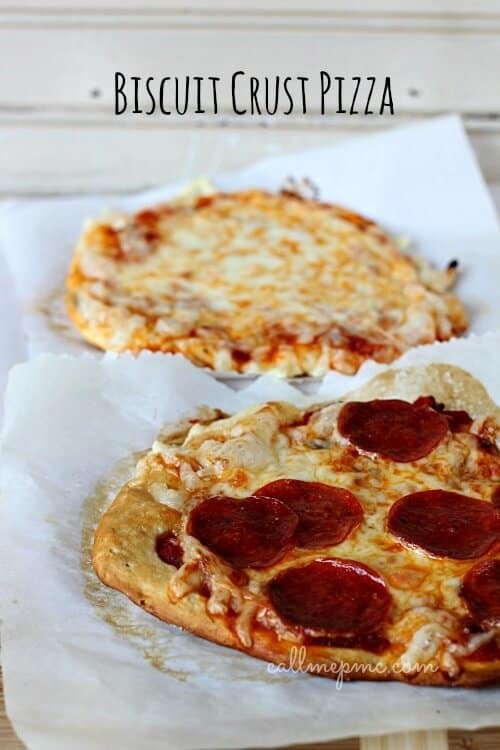 Biscuit crust pizzas?! So genius! That was Call Me PmC’s recipe! Super fun. Thanks Marie! I think I need to try those potato skins! Yeah you do!!! Hoe ARE you?! Great I hope 🙂 I should make you potato skins. I’m good. Unless saying I’m miserable will definitely make you bake me potato skins…. Four weeks to go! Hopefully less than that.